Petsofoz.com Blog - Pet News, Information and Product Reviews: Dog Toys Galore! People know us as place to get pet meds for a cheap price and don't realize we offer all kinds of pet products. We are adding new products daily and one of the popular product range we sell is dog toys! 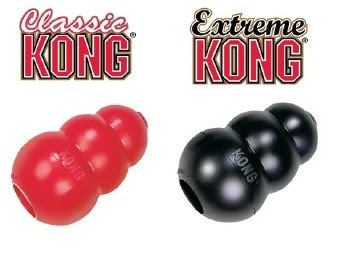 The favorite dog toy we sell is the KONG classic and KONG extreme. These KONG dog toys have been around forever and they are owners favorite toys for good reason. Not only do dogs love them but owners also love them because they are so strong. You can find our range of dog toys here.